As we shake off the chilly temperatures of winter and head into spring, we're also heading into some the busiest apartment hunting season in the New York City area. Typically, May through September are some of the most active months for rental listings (and competition), so renters need to be prepared in order to snag their dream home. 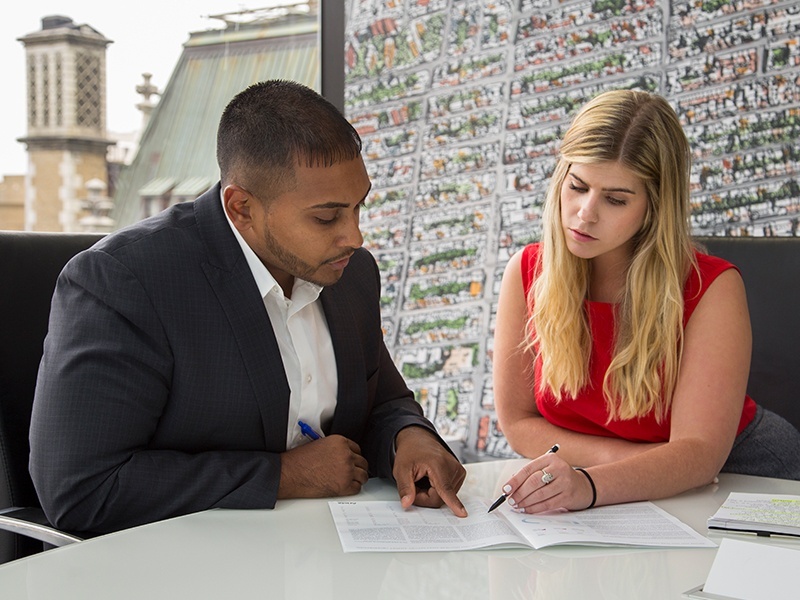 We checked in with Dixon Leasing's Senior Manager Jordan Cherson to get his advice on how to prep for leasing season. The amount of information you'll need to pull together to rent in the New York area might feel like you're about to apply for a mortgage! But having your documentation in place is critical in our super-fast-paced rental market. At minimum, Jordan recommends gathering your state- or federal-issued photo ID, your two most recent pay stubs, a letter of employment on company letterhead (including hire date, title, base salary and bonus, if applicable), the top two pages of your most recent federal tax return, and a copy of your most recent bank statement. For those who are self-employed, you'll also want to obtain a letter from your CPA or accountant verifying your annual income. For extra credit (and in this competitive season, you might need all the help you can get), Jordan encourages prospective renters to obtain reference letter(s) from past landlord(s) on their company letterhead, a copy of your mortgage statement if you own/owned a home, and evidence of other significant financial assets. Although it varies slightly, applicants should expect to earn 40X the monthly rent in gross income. For example, if you earn $100,000 a year, you can expect to qualify for a rental priced at $2,500/month or less. 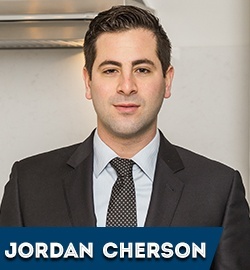 Jordon notes that the most common barriers to renting in New York City include insufficient income, poor credit scores and background check issues, such as criminal charges, prior evictions, tax issues or bankruptcy filings. Because credit score is so important, the first thing you'll want to do in your new home search — before you even thinking about browsing online listings — is to check your credit report for accuracy, pay down credit card balances and get your score as high as possible. 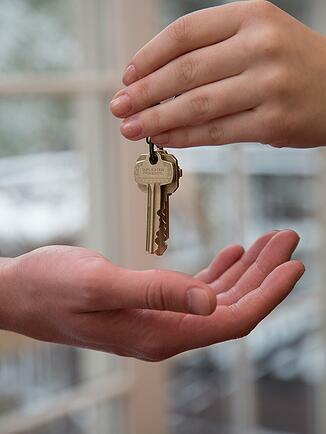 If your score is subpar, landlords might ask for an additional security deposit. Credit challenges, a lack of significant credit or rental history, or failure to meet the standard 40X rent threshold may also mean you'll have to find a guarantor. A guarantor is someone (typically a parent) willing to co-sign the lease and be responsible if you fall short on your commitment. Keep in mind that guarantors need to earn 80X the rental rate and will be expected to provide all of the financial documentation cited above. After addressing all the preparation above, so much of finding your dream rental in the city comes down to timing and luck. One qualified tenant might snap up the first place they see, while another has to look at a dozen or more. "It can take one try or it can take 50," Jordan explains. "My best advice is to not jump on a place just because it looks great. Always do your research and look for reviews of the management company or landlord." The exact monthly rent and a breakdown of all costs due at signing including security deposit, pet deposit and broker fee, if any. Which utilities is the tenant is responsible for, which does the building provide and is renters' insurance is required? All relevant move-in details including the exact date of availability, any moving restrictions such as designated elevators or permitted days of week, plus info on certificate of insurance requirements. Pet requirements including any breed/weight restrictions and pet rent or pet deposit details. An honest, experienced broker can be both ally and Sherpa in the complicated New York market. For newcomers or anyone feeling the pressure of a stressful home search, Jordan advises, "Take your time! Do not let a broker pressure you, no matter what. Housing costs are the biggest part of most people's budget, so it's essential that you're well-informed and happy with your decision." "I had a client come to me after their own home was gutted by fire," Jordan recalls. "Having owned for 15 years, they were totally unfamiliar with the rental process. With two kids in school, I wanted to get them settled as soon as possible. So, I worked with them for three days straight until they found the perfect home with us," Jordan recalls. "My goal is always, first and foremost, to be honest and straightforward with clients. Integrity and passion matter. Even without such dire circumstances as a fire, being able to ease pressure and help clients settle into a home — that's what I work for." For more information on how to best position yourself in a crowded rental marketplace, check out our How to Become a Qualified Tenant post. And remember, Dixon Leasing is a great resource for beautiful, no-fee homes any time of year.